are formed in response to tumor necrosis factor (TNF), antigenic peptides or DNA-damaging agents. 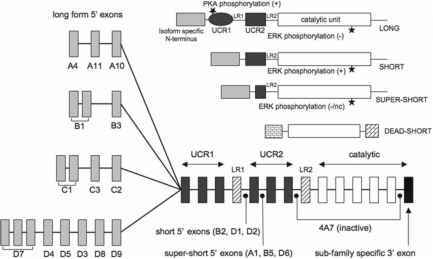 Clustering of signaling adaptors promotes the association and activation of ubiquitin ligases that trigger the conjugation of regulatory ubiquitin to target proteins. Ubiquitination serves as a platform to recruit the IKK complex and potentially other protein kinases to trigger IKK activation. These findings support a concept whereby protein complex assembly induces regulatory ubiquitination, which in turn recruits and activates protein kinases. Notably, the great interest in a detailed description of the mechanisms that regulate NF-kB activity stems from many observations that link dysregulated NF-kB signaling with the onset or progression of various diseases, including cancer, chronic inflammation, cardiovascular disorders and neurodegenerative diseases. Thus, the formation of large signaling clusters and regulatory ubiquitin chains represents promising targets for pharmacological intervention to modulate NF-kB signal transduction in disease.